Jesus did not come to condemn you or count your sins, we are not here to do that either. You Are Not a Sinner Because You Sin. It's a huge difference that you need to understand. ​No one needs to teach a dog to wag its tail, a dogs nature is to to wag their tail. Similarly, no one needs to teach mankind to sin, it is our nature to sin. According to the Bible we were made sinners. Like symptoms of a disease tell us we have the disease, our individual acts of sin tell us we have a sin nature. Those individual sins you have struggled with all your life, that have gotten you in trouble, caused pain and suffering and very well may have destroyed your life, are all a product of your inherited sin nature. A nature that wants to kill and steal from you. A nature that separates you from God and wants to destroy you. Understanding we are sinners by nature is radically different than believing we are sinners by choice. The truth is, you did not have a choice to be born without a sin nature. According to the Bible, Adam was deceived into transgressing the one command (law/warning) God gave him. Adam was warned to not eat from the tree of knowledge of good and evil (Gen 2:17). He did and this was the one act of disobedience that allowed sin into the world, making all mankind sinners - Rom 5:19 (prisoners of sin - Gal 3:22 NLT, Psalm 53:3). Adams actual sin was unbelief, not believing Gods warning. Adam was the first man, made in God's image. 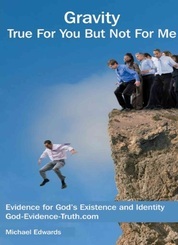 But after he fell into unbelief, mankind was made in Adams fallen image (Gen 5:3). No person born under Adam had the option to not INHERIT Adams fallen nature, sin nature. The fact that we live in a fallen world is obvious. This is why we lock our doors and house millions in prisons around the world. Written by the Apostle Paul, each verse below in Romans 5:15 -19 is like two sides of a coin. The first side tells how man was made a sinner without their choice. Here is the first half of each verse which indicates that by one mans disobedience, speaking of Adam, all were made sinners. 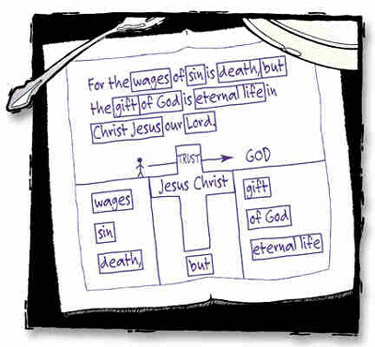 In Romans 6:23 and other verses, the Bible tells us that the wages of sin is death. In other words transgressing God's law leads to death. To further emphasize the fact that Adams disobedience was what made us sinners leading to death. The Bible tells us that from Adam to Moses (about 2,500 years), man was not given any laws to transgress by God, and where there is no law, sin is not counted against man. (Rom 5: 13-14). In other words, those from Adam to when Moses gave man God's law, could not have violated God's law, but they still died. The apostle Paul points out in Romans 5:17 that death reigned through Adam. God's desire is to save you from the fate and consequences of death with a sin nature that will keep you separate from God for eternity. ​​What Paul says in Romans 7 may be similar to what you have thought or said at times. "For I do not understand my own actions. For I do not do what I want, but I do the very thing I hate. Now if I do what I do not want, I agree with the law, that it is good. So now it is no longer I who do it, but sin that dwells within me. For I know that nothing good dwells in me, that is, in my flesh. For I have the desire to do what is right, but not the ability to carry it out. For I do not do the good I want, but the evil I do not want is what I keep on doing. Now if I do what I do not want, it is no longer I who do it, but sin that dwells within me." (Rom 7:15-20) In 7:14 he says: "I am of the flesh, sold under sin." Paul is pointing out that it is his inherited sin nature that is causing his grief, leading to the symptom of individual sins. Don't misunderstand me, each of us have sinned multiple times violating our God given conscience that warned us not to. Some have dove head first into their sin nature living with total abandon. We are all guilty to some extent. God does not at all approve of our individual acts of sin, they are wrong, hurting us and others. However, these individual sins are not the main issue that affect mans relationship with God. Our personal acts of sin are symptoms of our inherited sin nature acquired from the first man, Adam. Similar to how symptoms of an inherited cancer reveal the deadly disease hidden in a persons body, our individual sins reveal our sin nature, the real problem. Just like we would never expect to cure cancer by solely dealing with the symptoms, solely trying to stop our individual acts of sin, while good intentioned, will not fix the problem. As a matter of fact, doing so can actually hide the truth from our sight and others, making us look good on the outside while being filled with dead man’s bones on the inside. Go HERE to find a Bible study on how believers can stop the outward acts of sin. God's law is holy, just and good and God's law was given to protect man not harm him. Sin is the transgression of God's law and all of us have done it multiple times. The Bible tells us that love fulfills all of God's laws (Gal 5:14, Rom 13). This tells us that the spirit or intent upon which all of God's laws rest is love. God loves us and authored His law, including the 10 Commandments, to protect us from each others fallen sin nature (Gal 3:23 NLT), while arousing our sin nature so it can be identified by us and thus leading us to see our need for God's help (Rom 7:8, Rom 3:20). Since all were made sinners and lived out our nature by sinning individually (Rom 3:23), no man can possibly be righteous or change their inherited nature before God by doing good now. It is like we have inherited a terminal illness, only God can heal. An illness that God is more than willing and able to heal. This is exactly why Jesus came. So why didn't God just put a stop to everything after Adams sin? If God had done that, you would have never been born. You would have never had the chance to believe and inherit the eternal life as God intended it from the beginning. God let things unfold as they have so that those that would believe, would have the chance to believe. To those who agree and scream "it is not fair, I had no choice." I would be the first to agree that our inheritance of Adams sin nature is not just or fair. But I would say, you have a choice now. God is a just God, if you let Him, He will make things right. The ball is in your court so to speak. God loves you and Jesus died so you could be saved. You just need to repent, which means change mind. In this case it means, by faith change your mind from unbelief to belief. Here is the second half of each verse in Romans which indicates that by one mans obedience, speaking of Jesus, those who by faith believe will be made righteous. The problem of their inherited sin nature corrected and made right with God. These verses and especially Romans 5:19 tell us the only way to be right with God is to let God make us right with him. This this is done by believing God, placing our faith and trust in Jesus obedience not our own. Jesus tells us that only by being Born Again (John 3:7) under Jesus Himself can we be made righteous (right with God). We actually INHERIT Jesus righteous nature by faith when we believe God. This new nature replaces Adams sin nature we inherited through his blood line but never requested or desired. This explains the necessity of the virgin birth of Jesus. The Holy Spirit provided the seed and Mary the womb. Medical science tells us a fetus never receives blood from the mother in the womb. The blood is produced from the seed. Jesus blood was not inherited from Adam. Knowing that it did not require us to sin to be made a sinner, helps us to understand how we can be made righteous by God apart from being righteous in our actions. Adams sin was unbelief. God gives all mankind the free choice to BELIEVE and be set free from an inherited sin nature they never asked for. This is why God did all of the work making salvation a free gift, easy to obtain but not cheap. 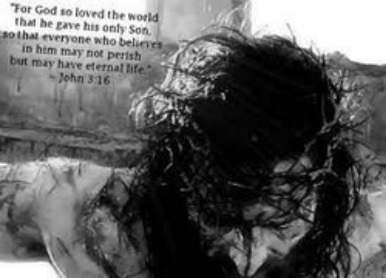 It cost God everything, His only begotten son Jesus paid the ultimate price for us. Jesus did it all for you. He wants to set you free from the sin nature you inherited from Adam and make you right with God. The nature that wants to steal from you, to kill you and destroy you. He came on a all out rescue mission to free you from the prison of sin Adams disobedience placed you in. His desire is that you will repent which simply means "change your mind" and believe. Believe that God loves you and wants to save you (John 3:16). That God is for you and not against you. Believe that Jesus, who is God the Son in the flesh, came and took all of your sins on himself at the cross so you could be saved. Believe that Jesus became sin, defeated death and rose again so you could become the righteousness of God, (right with God) (2 Cor 5:21). Adams sin was unbelief and this is your chance to change the entire course of your eternity, believe and be set free. To avoid making the same mistake Adam made, you need trust and believe God, placing your faith in Jesus as your savior. The only other option is to continue in unbelief and thus judge yourself unworthy of eternal life (Acts 13:46). In the entire Bible there is not one person listed except Jesus, who was right with God based on their perfect actions, good works or lack of sins. Without exception in the entire Bible, the only way anyone was ever deemed right with God, righteous, was by believing God. The Bible says it is impossible to please God without faith. It does not say, without sinless perfection. Even though you may not understand everything, we hope and pray that you will accept God's free gift of eternal life in Christ today. God’s desire is that you repent (change your mind) from unbelief to belief and be saved. Pray this prayer and then please let us know of your acceptance of Gods offer to save you below. Lord, Thank you for helping me to understand that my outward actions of sin that have gotten me in trouble and I have struggled with all these years, are symptoms that point out the root cause of my problem and my need for your help. I understand that I cannot change my inherited nature, but I now know that you can and are willing to help me. I now believe you really love me and that Jesus came for this purpose, to save me from my inherited fallen nature and my individual acts of sin, making me righteous (right with God the Father) in spite of my failings. I now trust you and believe you are for me and not against me. I choose to accept your saving grace and be born again under Jesus making Him the Lord of my life. I choose to follow you and let your will be done in my life. Amen. Please encourage us by telling us if you have placed your trust in Jesus. Just click the button below. Filling out the form is not necessary unless you desire too. Ask for prayer, request more information or ask a question. Go HERE to find a Bible study on how believers can stop the outward acts of sin. Need an online church until you can find the right one in your area? Try New Hope, The church the owners of FaithWriters attend and heartily recommend.